An overview of 10 musicians who called Greenwich Village home base when they weren't performing. Addresses of where they lived or stayed. Addresses of some of their favorite Greenwich Village music clubs and cafes. An easy to use Google map that you can use to set up your own walking tour. Greenwich Village, with its openness to experimental and bold new music, has made itself a comfortable place for musicians to hang out and discover or collaborate with fellow musicians for decades. The strong voice found in The Village gave a voice to many of the famous musicians in this ebook. From Bob Dylan and Jimi Hendrix, to John Cage, Buddy Holly, Chuck Berry, and The Rollings Stones, The Village culture has served as an inspiration for a variety of musicians. 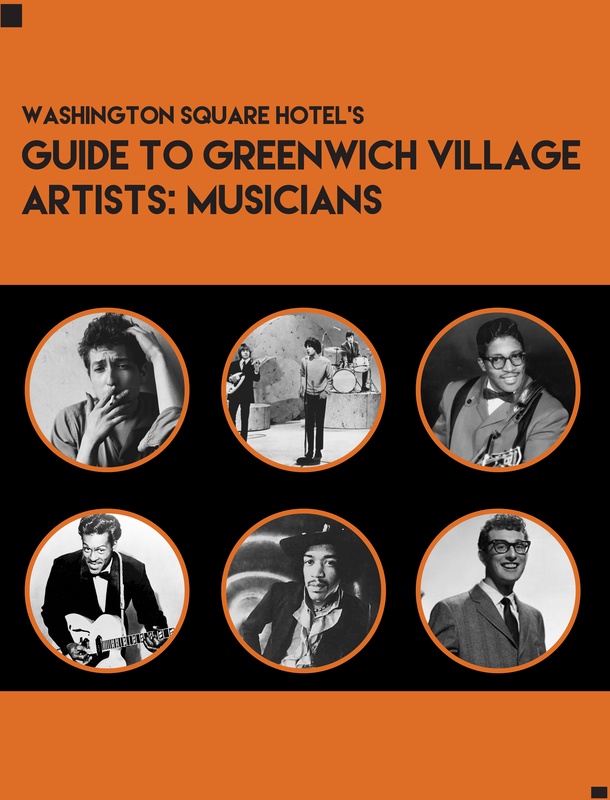 This free ebook gives you the 'who' 'where' and 'what' about these musicians and the role Greenwich Village played on their path to success.